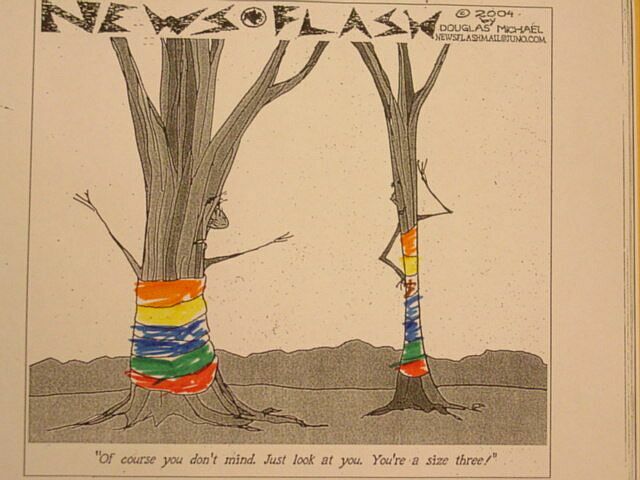 Concerned about donating to trusted charities? Guidestar can verify whether an organization is a registered non-profit in the U.S.
One of the long term needs of the survivors is shelter. 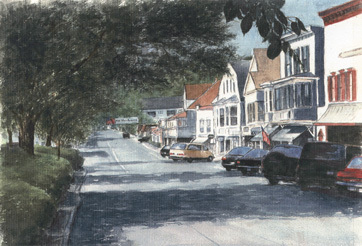 Note: This Katonah Christmas card requires that your browser support Java applet. and they are having their Annual Holiday Show and Sale going on now thru January 16, 2005.
allows you to send an email postcard of the artist's work. That's cool! You can find out more about this local art gallery here. 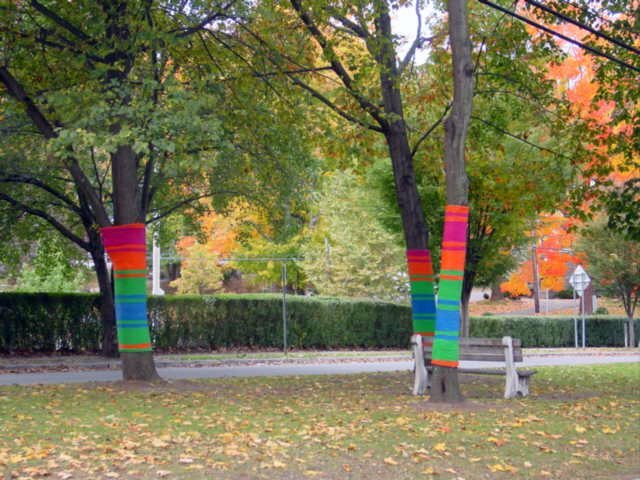 This is the installation of a temporary public art project on the island greens along Bedford Road in Katonah. The project, co-sponsored by the Katonah Museum of Art (KMA) and the Katonah Village Improvement Society (KVIS), coincides with a year-long celebration of the Katonah Museums 50th Anniversary. It will physically bring art into the life of the community as well as back in front of the Katonah Village Library, where the museum first opened its doors in 1954. The KMA and KVIS commissioned Brooklyn artist Jennifer Zackin to wrap approximately 23 trees with cotton rope that will then be painted in different colors and patterns. 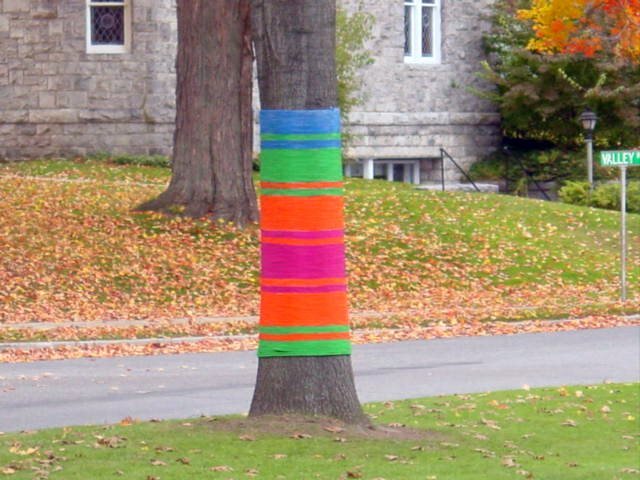 Bright pink, orange, yellow, green, blue, and violet stripes of varying widths encircle tree trunks up to six feet high. 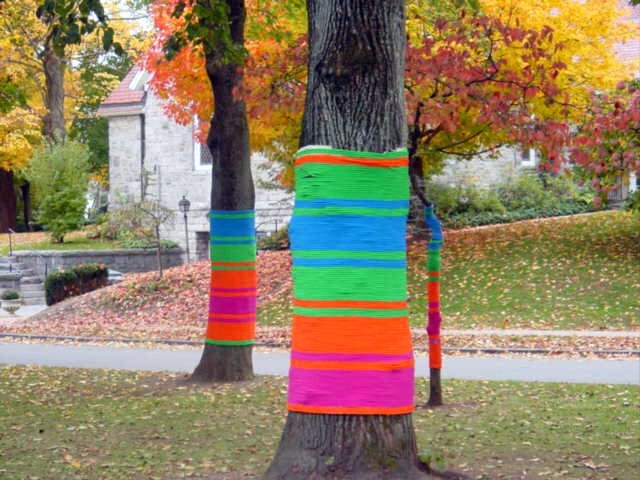 These vibrant colors have a magnificent transformative quality, appearing playful among the changing colors of fall and will assume a strong presence in winter when the trees are dormant. 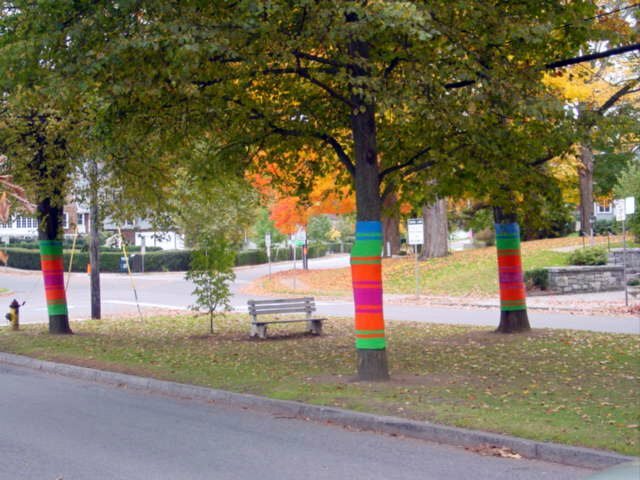 By bringing art into the public arena, Ms. Zackins innovative installation adds joy to the village, stimulate conversation among its residents, and allow people to access and enjoy art in the course of their daily routines. 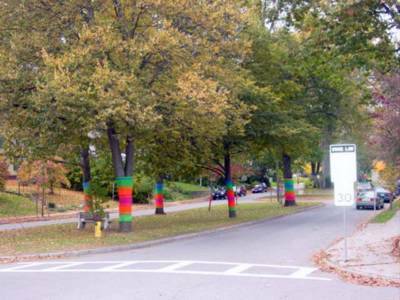 We anticipate that Bedford Road will never be viewed in the same manner again, says Allison Chernow, KVIS co-president. The installation will be dismantled in March, 2005. 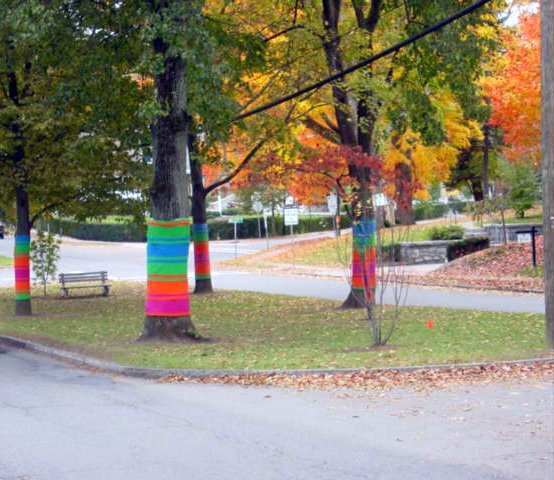 What are your thoughts on this new temporary addition to Katonah Green? Today KatonahBlog was launched. 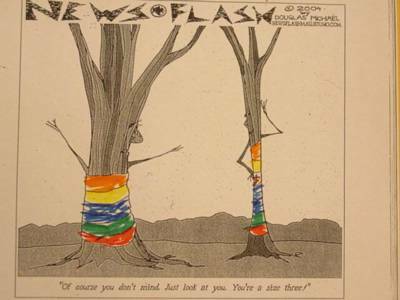 The intent of this blog is to serve as a platform for community participation. 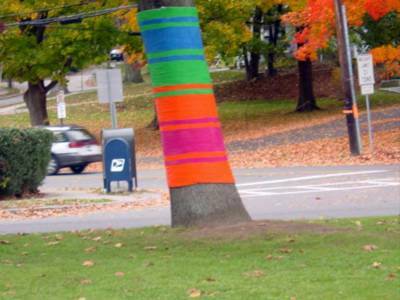 If you have something you want to share with other readers of this blog as it relates to the Katonah community we welcome your input. Hopefully, a dialogue can begin on topics of interest to the community at large. KatonahBlog is blogging on a community level as opposed to a personal level. The intent is to provide a platform for everyone in the community to contribute and interact with their neighbors online. . Here at KatonahBlog our intent is to serve as a publicly accessible neighborhood journal for everyone. 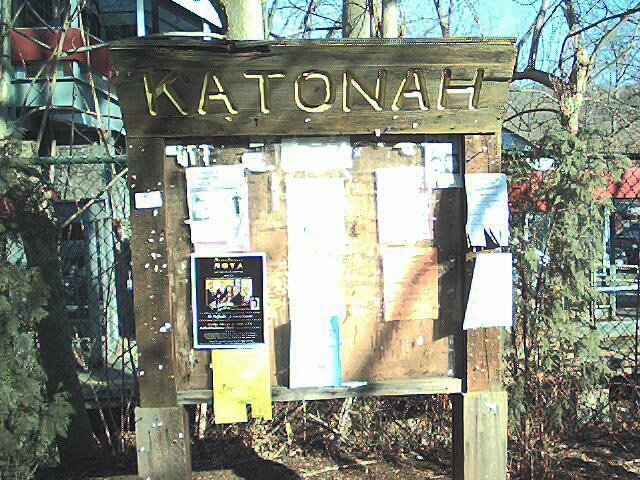 Vew KatonahBlog as a virtual Bulletin Board on topics of local interest to the community.